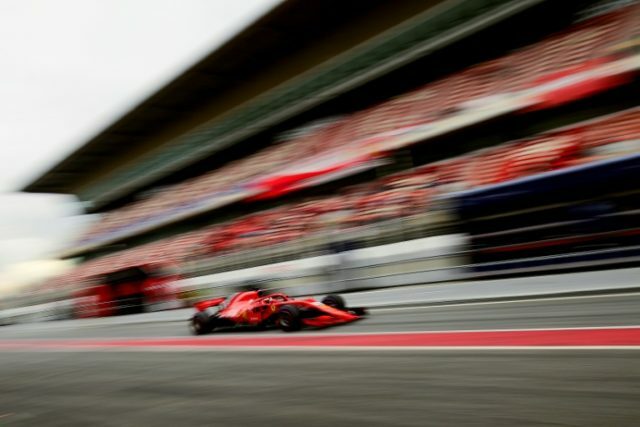 Montmeló (Spain) (AFP) – Four-time world champion Sebastian Vettel smashed the lap record at Montmelo in Formula One testing on Thursday when he clocked 1min 17.182 in his Ferrari but dismissed it as insignificant. The German driver, who completed 188 laps, improved on the previous best set just 24 hours earlier by Australia’s Daniel Ricciardo in a Red Bull. “The times on these test days don’t mean much,” said Vettel. “The important thing is that the car has proved to be very strong, allowing us to run all day without any significant problems. Reigning world champion Lewis Hamilton and Mercedes teammate Valterri Bottas were in eighth and ninth places respectively with 1:19.296 and 1:19.532. Just like Vettel, Hamilton refused to see pre-season testing as a potential reflection of what lies ahead in the world championship which gets underway in Australia in just over two weeks time. “The track is very different to what it used to be because they resurfaced it,” explained Hamilton. Red Bull’s Max Verstappen recorded a modest best of 1:19.842 off 187 laps, the second slowest of the day as drivers opted to focus on set-up. “Today was about doing a lot of laps… a lot of laps,” said Verstappen. Friday will be the final day of pre-season testing before the 2018 world championship gets under way in Melbourne on March 25.